Chicago Bulls star Dwyane Wade has a player option for the 2017-18 season worth nearly $24 million. With that much money on the line and Wade on the downswing of his career, many NBA observers assume Wade will be back in Chicago next year despite a disappointing 2016-17 season. Following his exit interview on Saturday, Wade warned reporters not to try to read the tea leaves, because he’s not sure what he wants to do. Although he didn’t name any specific teams – like, say, the Cleveland Cavaliers – Wade acknowledged he could leave the Bulls to chase rings with a title contender. Then again, he doesn’t have to, since he already has three championships. “There’s so many different variables that come into play, especially for me at this point in my career,” Wade said. “Like I said, I have a great luxury. I don’t need to ring-chase, but I can. It’s a great luxury to have if I want to do. This has to be music to the Bulls’ ears, even if the money probably wins out in the end. The mere possibility Wade could end up elsewhere next season is huge. 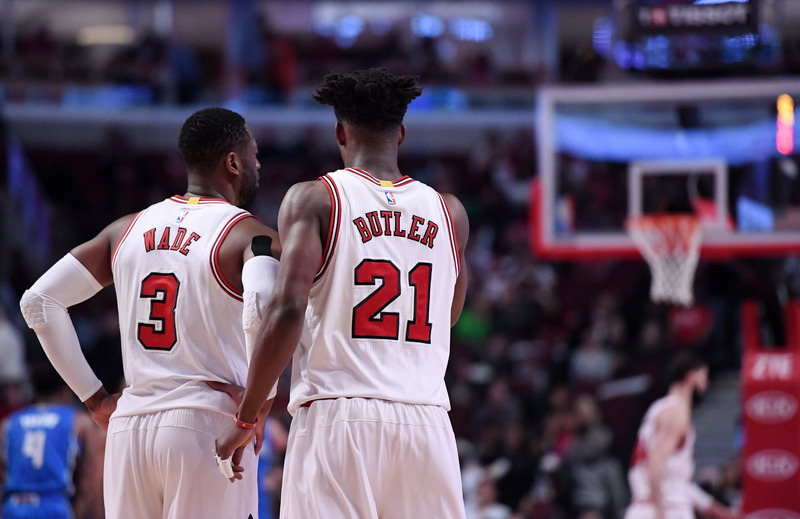 Chicago needs to enter a full rebuild as soon as possible, and Wade’s presence would severely hamper this team’s ability to bottom out. He said all the right things about wanting to be a mentor to the baby Bulls, and he probably means it. At the same time, Wade wants to compete – if not for a championship, than at least for a playoff berth. He’s looking to coach up a few young guys, not be the lone veteran on a team that gutted the roster to begin a Sixers-like process. If you bring him back, you’re just rolling out the same failure of a team we saw this season. 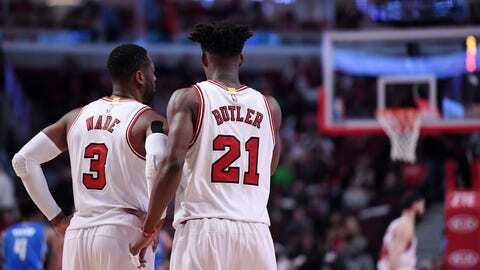 Another season of Wade, Jimmy Butler and Rajon Rondo might earn the Bulls another eighth seed if Chicago gets lucky, but for what? That’s just delaying the inevitable. No hard feelings That’s just business in the NBA.